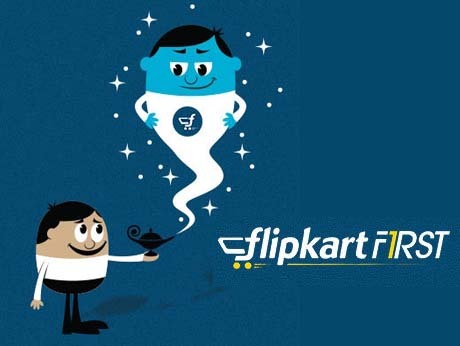 Flipkart, one of the leading web retailers of India, has a service called ‘Flipkart First’ that will provide its members a host of exclusive benefits along with priority service features. All those starters customers who sign up for Flipkart First will be entitled to free shipping for all their orders, free In-a-day guarantee delivery, same day guarantee delivery at a discounted price, 60 days replacement policy and priority service from Customer Support. However, the service, unlike most loyalty programmess, is not free. The company has already started also inviting customers to submit their email IDs for this service. Flipkart will randomly select 75,000 customers who will be able to avail of the Flipkart First service free of cost for three months. However, there is no clue at the time as to how much will they be asked to pay afterwards by the online marketplace. “As pioneers in the supply-chain space, we have always looked at launching innovative services and features to enhance customer experience in online shopping in India. We have a pulse on the Indian market and consumer trends. Today, the Indian customer is maturing, looking at value over cost – and services like these will push the ecosystem to another level” Says Binny Bansal, Co-founder and COO.